I love casseroles. I love that you can mix everything together in one dish and serve up something delicious. There is something magical about the casserole dish. 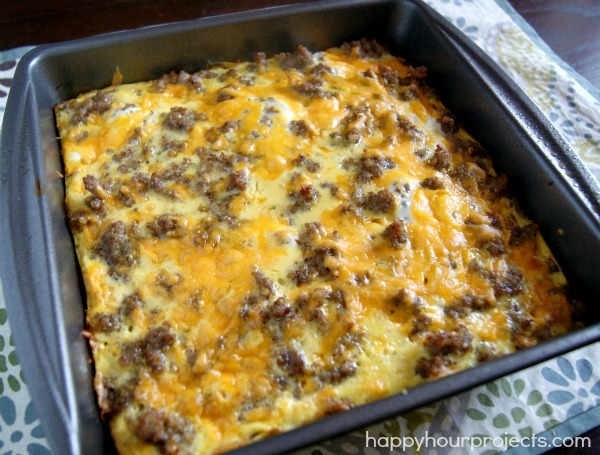 Adrianne shares an amazing looking sausage and egg casserole that is no exception. I might add some more cheese to it though. Head over to happy hour projects to get the full recipe.